Mangroves in South Australia are confined to sheltered shores in the Gulf of Saint Vincent and Spencer Gulf, and protected bays on the Eyre Peninsula. Low rainfall in this driest of all Australian states creates a scarcity of estuaries, with small amounts of freshwater, nutrients and sediments entering the sea. Coastal waters are therefore oligotrophic, except for seasonal upwelling events off the Eyre Peninsula and the south-east. The Gulfs are further considered inverse estuaries,as salinity is higher inshore and temperature fluctuations larger at the top of the Gulfs than towards the ocean. Mangroves can be found generally seaward of saltmarshes and often interspersed with seagrass beds and mudflats. For more species details see the 2006 book Or, check out the MangroveWatch apps! These mangroves range from extensive and dense forests to sparse and isolated stunted trees at more extreme settings. 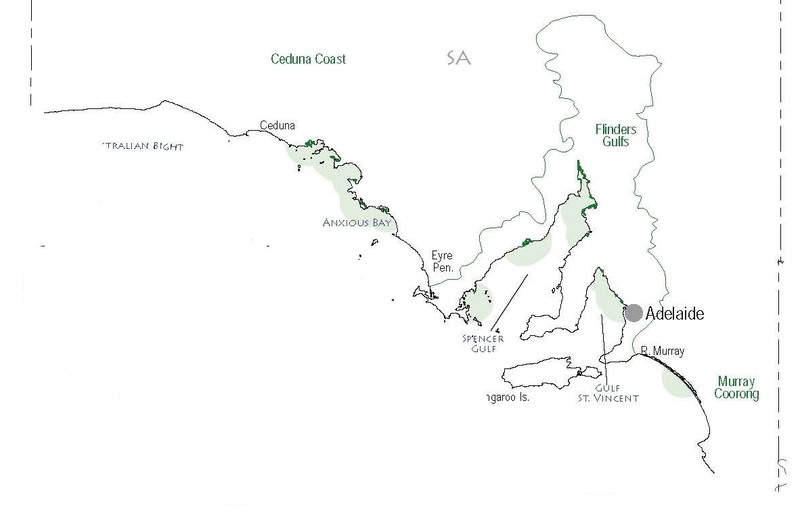 The total area of mangroves in South Australia is around 156 km², and there is only one species, Avicennia marina. Trees of A. marina around Adelaide are genetically intermediate between two varieties, var. marina and var. australasica. 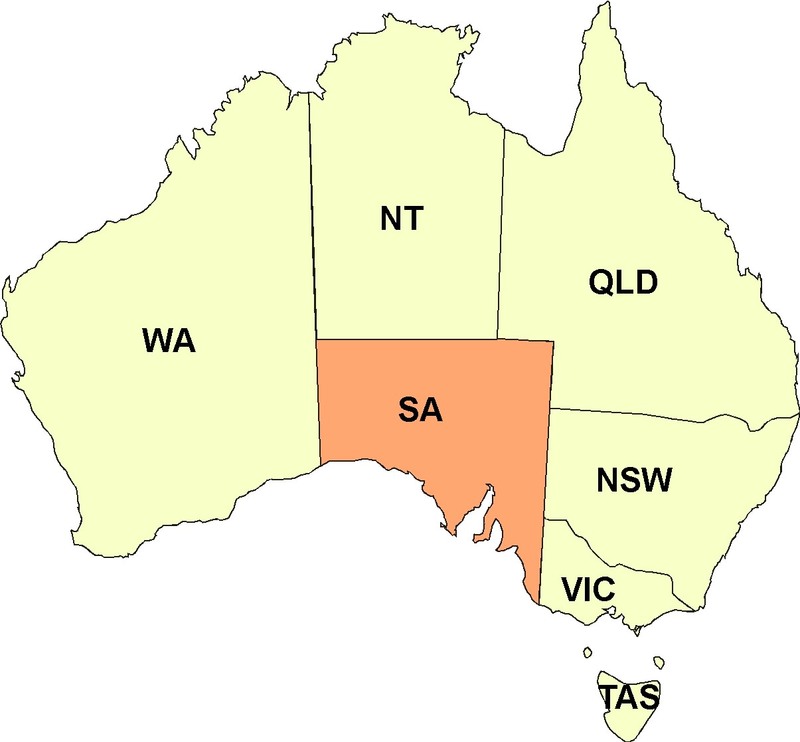 Populations in Spencer Gulf and along the west coast of Eyre Peninsula might be more closely related to var. marina, while those to the east are perhaps more like var. australasica.